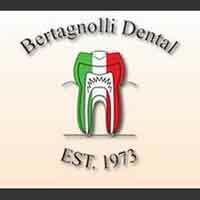 At Bertagnolli Dental, we provide professional dental services for the entire family. If you think your teeth aren’t white enough, it may be time to consider a professional whitening treatment. When you are looking for teeth whitening in Westminster, call our office today. The first thing people notice is our smile. If you are self-conscious about the color of your teeth have a professional teeth whitening is the best way to whiten your teeth safely and effectively. In addition to teeth whitening, we provide implants, crown, general check-ups/teeth cleaning, veneers, dentures and sedation dentistry. It’s easy for the entire family to have their work done all in one location. A big smile says you’re happy and confident. Let us help you achieve a beautiful healthy smile. Schedule your appointment for teeth whitening in Westminster today. A nice white beautiful smile is a thing of beauty.